You are here: Home / Ask an Expert / Ask An Expert: Should I Incorporate Remarketing Into My Digital Marketing Strategy? Ask An Expert: Should I Incorporate Remarketing Into My Digital Marketing Strategy? As competition becomes increasingly fierce, B2B and B2C companies are all fighting for customers to read their content, and purchase their products or services. With so many options available to today’s consumers, many brands are searching for a way to stay top of mind with potential customers. According to Business Insider, there is over $4 trillion of merchandise that will be abandon in online carts this year, 63% of which is potentially recoverable. In laymen’s terms, remarketing is that pesky ad stalking you like an annoying mosquito around the internet and in my case, eventually getting you to buy yet ANOTHER sweater you may or may not need. Officially, remarketing (retargeting) are banner ads or text ads that are show to a specific group of people (audience) that have visited your website or digital property. Remarketing requires you to place code on your site that drops a cookie on a visitor. Once dropped, the remarketing platform you’re using can show ads to that person as they are searching the web. Why is Remarketing A No-Brainer? Remarketing is the easiest and most cost effective way to re-engage an already engaged audience. Let’s say you had someone recently download your latest whitepaper or watch a video on your site or “save” items in their shopping cart for later; with remarketing you can re-engage them with a special offer, additional content or demo. Remarketing can be a tool used for moving consumers through the funnel and directing them to next action you want them to take. 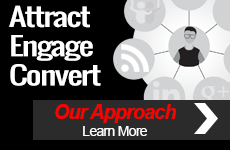 At TopRank Marketing, we understand the power of remarketing and integrate it into almost all of our client programs and campaigns. We recently had a client that launched several assets around a major change coming to their industry. One of the assets was light on content (Asset 1) while the other asset was contained a lot of information (Asset 2). 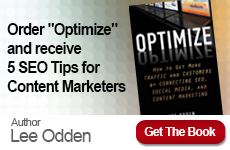 This program presented the perfect opportunity to leverage the power of remarketing. As part of our overall integrated digital marketing strategy, we promoted Asset 1 via organic search, influencer marketing and paid social. We then remarketed Asset 2, which required additional buy-in and knowledge via remarketing on GDN. We saw tremendous results compared to previous remarketing efforts and performance more than exceeded client expectations. Remarketing had a dramatic impact on this integrated campaign by lowering our overall Cost Per Lead while improving our lead volume. 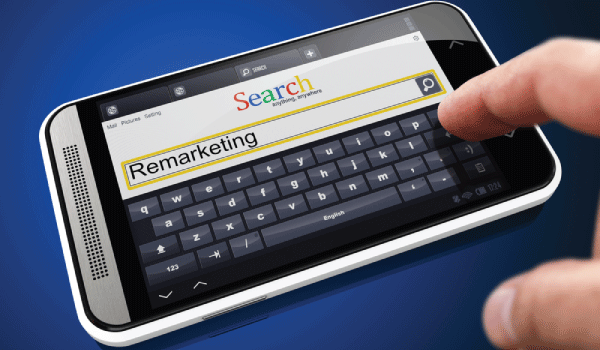 When you break down the information, remarketing really is a no-brainer. With remarketing, you can typically create a lower CPL and increase the number of leads generated. While the example above reviews how we’ve leveraged remarketing for content promotion, remarketing opens up a world of possibilities for engaging with your customers.